Welcome to the five hundred and sixty-fourth of my blog interviews with novelists, poets, short story authors, biographers, agents, publishers and more. Today’s is with historical author R Jay Berry. A list of interviewees (blogged and scheduled) can be found here. If you like what you read, please do go and investigate further. Morgen: Hello, R Jay. Please tell us something about yourself, where you’re based, and how you came to be a writer. R Jay: Hello Morgen. My name is R. Jay Berry and I live in DeSoto, a small suburb about thirty eight miles south of Dallas, Texas in the United States. After a thirty-year career with the Dallas Independent School District, I retired as an administrative executive. I did not retire thinking I was going to write my first novel but after resting my mind for a few months, I picked up my laptop and the words just seemed to flow. I chose to write about the life and times of my maternal grandmother after remembering stories she often told me about her life growing up. While she never got the chance to read about all of the stories she communicated to me over the years, I think she would be proud. Morgen: I’m sure she would. I love to hear that your words just flowed. That’s what happens to me and it’s so thrilling. What genre do you generally write and have you considered other genres? R Jay: I feel most comfortable writing historical fiction. My first novel is book 1 in the Sunday Rose series and based on true events that happened in my grandmother’s life. The next two books after the series of books are all published will also be historical fictions. 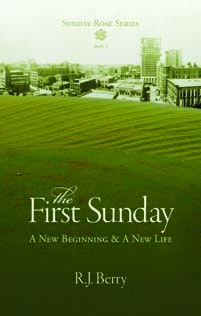 R Jay: My first book is entitled The First Sunday and I write under the name R J Berry. Book two of three in the Sunday Rose series will be published in the next few months. R Jay: My first book is not self-published but I have decided to self-publish books 2 and 3 in the Sunday Rose trilogy. This is a faster way of getting my books on the market. I want to make sure that interest in my books remains high as people are asking when the next book in the series will be available. Morgen: I think that’s very wise. I’ve just my novel (a chick lit) but am not marketing it yet as I have another due out in the next few weeks and by having at least two out people have a choice. My next will be a mystery so they will also hopefully catch two markets. Are your books available as eBooks? Do you read eBooks or is it paper all the way? R Jay: The First Sunday is available as an eBook and can be purchased at Barnes and Noble, Amazon, and Tate Publishing bookstore. While I have always been a paper book reader for as long as I can remember, I have recently read several books in eBook format including mine. Morgen: Isn’t it great having the option. Almost everyone I’ve spoken to says they still love holding a book in their hands and I don’t think that’ll go away – most read paper at home then electronic when they go away. Do you have a favourite of your books or characters? If any of your books were made into films, who would you have as the leading actor/s? R Jay: I must say that given the fact that I have only published one book at this point it has to be my favourite. If the Sunday Rose trilogy were made into a movie, I can see Anika Noni Rose, Paula Patton, and Common playing the lead characters. R Jay: Yes, I chose the title of the book which the reader will understand after they read it. However, the cover was developed by the publishing company but it depicts the storyline of the book very well. Morgen: It’s great you like it. Sometimes authors have no choice and have to market a book they’re not 100% pleased with which would be awful. What are you working on at the moment / next? R Jay: While I am in the process of getting book 2 published, I am also writing my fifth book. R Jay: When I was writing book 1, I wrote a little every day for three months when all of the words stopped coming and I had finished the book. I have never experienced writer’s block but I have gone through spells of being stuck and I have to walk away from the writing until I get an idea of how to proceed or what to change. Morgen: I think everyone does, even those who say they don’t suffer from writer’s block, myself included. Even just a few hours’ break can really help see your way through better. Your first book is based on your grandmother. Are you plotting your other stories or do you just get an idea and run with it? R Jay: With the first book I tried to begin the process by creating an outline but as I began writing, the words came to me that I had not put in the outline and with the other books; I just sat down at the laptop and began typing. Morgen: That was exactly the same for me. I plotted the first one (I’m currently writing my sixth) and whilst the idea remained the same it did go off at a tangent so often that I’ve not planned much (including the chick lit which resulted in a 117,540-word first draft from notes just three pages of A4). Do you have a method for creating your characters, their names and what do you think makes them believable? R Jay: My characters are all created from the stories I heard throughout my life from both sides of my family as well as from conversations and memories with family members and friends. I never started out with names for my characters in mind they just came as I wrote. R Jay: With the first book and because I did not know about the editing process, I had some editing that had to be done. However, when I saw what changes the publisher asked me to make, I knew how not to make the same editing mistakes in the other books. Morgen: It’s all practice, isn’t it. Do you have to do much research? R Jay: The only research I do is to always verify dates and locations. Morgen: That sounds like my kind of research. 🙂 What point of view do you find most to your liking: first person or third person? Have you ever tried second person? R Jay: I write in the third person but I find it also enjoyable to write in first person. On occasion I have combined both first and third persons. I have not tried to write in second person yet but something to think about. Morgen: Oh, do. I love it but it’s an acquired taste, and hard to write in anything longer than flash fiction. Do you write any poetry, non-fiction or short stories? R Jay: So far, I have only written historical fiction books but maybe as I get through the publishing of the next four books I have written, I may try other genres. R Jay: At this point I cannot say that I do but I will always try every avenue to make sure all of my work is published. Morgen: It does sound like your very focused so hopefully that will happen. Have you had any rejections? If so, how do you deal with them? R Jay: I have not had any rejections thus far. Morgen: Congratulations. You’re of a very small minority but then many of us self-publish because we’ve tried the agent route, which these days is harder than finding a publisher. Do you have an agent? Do you think they’re vital to an author’s success? R Jay: I do not have an agent but I must say there is a lot to marketing an unknown author’s work as mine. I can’t say an agent is vital to an author’s success but I am sure there would be things that an agent would and could be able to accomplish that I was not able to complete. Morgen: They say “It’s not what you know, but who you know” and an agent would have contacts we don’t but even being an agent these days is hard and I know some are actually leaving to become publishers, or writers. How much of the marketing do you do for your published works or indeed for yourself as a ‘brand’? R Jay: I guess I never thought much about the marketing process after writing a book. But when I realized that I had to do much of the marketing myself after the initial press release from the publisher, I did several things. I contacted a local newspaper and had an article published and sent information to a local radio station. Lastly, whenever I have a book signing or speaking engagement event it is listed on the publisher’s calendar as well. Morgen: Local does seem to be a great way for authors to go, plus they get to meet their audience face-to-face. My first book features the town I live in so plenty of scope there. What advice would you give aspiring writers? R Jay: The advice I would give other aspiring writers is if you want to begin the writing process, do not put it off until you have the time. Once you begin writing it will come easily to you. The writing process will relax not just your mind but your soul as well. Morgen: Absolutely. Most of the members of my (four) writing groups are retired and say they wish they started earlier. I felt the same (I came to writing fiction in my late thirties) but then I had all those years’ experience to write about. Is there a word, phrase or quote you like? R Jay: My power word is Tenacity. I have always been a person who had determination to succeed in school and work or in whatever I chose to do. Because I have a dogged drive to complete things I start, this word not only describes me but helps me to understand that nothing comes easy in life without hard work. Morgen: You have to be a tough cookie to be a writer, and determined. If you have the passion it doesn’t feel like ‘work’… it doesn’t to me anyway. What do you do when you’re not writing? R Jay: When not writing I love attending church, gardening and tending to the entire yard, and spending time with my family. R Jay: Currently, I am on several LinkedIn groups such as Book Marketing, Books and Writers, Published Authors Network, Reader’s Entertainment, The Author’s Show, Writers and Authors Circle, Ursuline Academy of Dallas Professional Women’s Network, and National Association of Women on the Rise. I have found that all of these sites and groups offer useful information about many questions I have about writing and publishing books. R Jay: I am on Facebook where I share information about my book signings and events as well as on my Amazon Author Page. My author page link is https://www.amazon.com/author/rjayberry. My website is http://rjayberry.libroville.com. R Jay: I just want to thank you Morgen for giving me and all writers this forum to communicate information about our books. Morgen: You’re very welcome, R Jay. Thank you for joining me today. The Tyler family saga begins in Kittman, Texas, a small town approximately eighty-eight miles south of Dallas, Texas. Kittman had a population of 2,573 residents, and most were close and distant relatives. The main attractions for this booming city were church services every first and third Sundays with the church circuit rotation of ministers. Usually at the end of church services, there would be dinner on the church grounds under the shade trees for people to congregate. The women would bring their fried chicken, greens, candied yams, and hot water cornbread for dinner. Some of the women had specialty desserts that they liked to bring, like sweet potato pies, fruit pies, and peach cobbler—everybody’s favorite. After eating, the men would talk about their crops and what problems they had on their respective farms. Life seemed to be good for all of the residents of Kittman. Amos and Lottie Tyler were a big part of the Kittman community. They were longtime residents of this small town and were well liked by all of their neighbors. R. J. Berry was born in Dallas, Texas where she received her formal education from Ursuline Academy, Texas Woman’s University, and Amberton University. 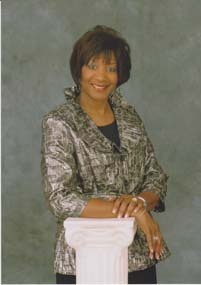 In 2009, she retired as an educator from the Dallas Independent School District after thirty years. She is a member of the Greater Golden Gate Baptist Church where she is the secretary of the Deaconess Board and member of the Contemporary Gospel Choir. She is also a proud member of Alpha Kappa Alpha Sorority, Inc. She has been married to her husband Bernard for thirty years and they have one son, Stephen. R. J. recently released her first novel; entitled “The First Sunday” which is book 1 in the Sunday Rose series about her grandmother. The account depicts the self- imposed life struggles that her grandmother encountered throughout her life. 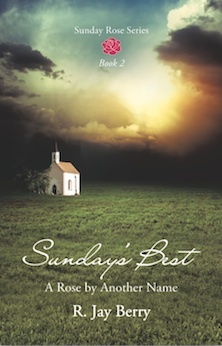 Update February 2013: R Jay’s second book in the Sunday Rose series, Sunday’s Best, is now available on Amazon.com, BarnesandNoble.com, and Xulon Press. Rose’s dreams of becoming a singer have been overshadowed by death. The story continues with Rose having to deal with the death and burial of her baby son while still being a mother to her baby daughter. Rose knows that the death of her son was her fault and that her husband blames her. After the funeral for her son, Rose realizes that her husband, JJ, is having a hard time forgiving her. To make matters worse, Rose suffers yet another tragedy. Update March 2014: R Jay’s third book, Sunday’s Eternal Rose, is now available. The decisions Rose made all those years ago still haunt her and continue to affect all of her relationships. She has never gotten over the love she had for her first husband JJ and the end of their marriage. Her second marriage is over and Rose is determined she will never fall in love again. While she is fully aware of the mistakes she has made throughout her life, her decisions and actions continue to be the same.